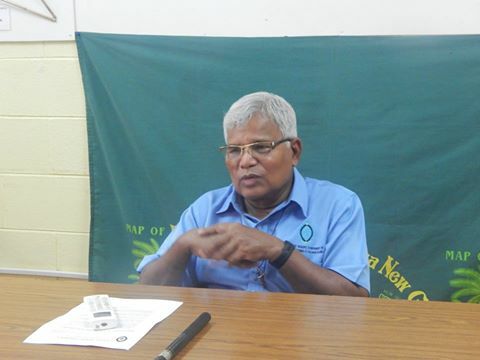 The Catholic Bishops Conference General Secretary, Father Victor Roche is calling on NCD Governor Powes Parkop and Ben Turi NCD Police Boss, to deal with the law and order situations currently affecting ordinary Papua New Guineans. He made this appeal for the reason that he had fallen victim to an attack at the Gordons Market on Saturday 14 January while on his way to buy some fresh vegetables. He said thankfully he did not have his cell phone on hand at the time and carried little cash purposely to buy fresh vegetables which was all taken off him. He further said after the attackers had left coolly, a security guard of the Gordon market who witnessed the incident told him jokingly, “sori ol i drug bodis ya”(sorry they are drug addicts). He said around 60 to 70 people immediately came to see what was the commotion about and to observe but none bothered to help him. He said the five “rascals” walked away with full immunity but they will come back again to attack the next person and it could be anybody. But the sad thing is we are accepting these instances as a norm. He is pleading for authorities to improve the national security for the city and the whole nation or move Gordons market to another more safer location where people can be free to do marketing without fear of getting pick pocketed or harassed in any way.